To purchase more than one ticket, click Add to Cart and edit the quantities on the view cart. To buy tickets of different types, or for multiple concerts, click Continue Shopping to return to this page. Keep your receipt, this is proof of purchase and forms your ticket entry. 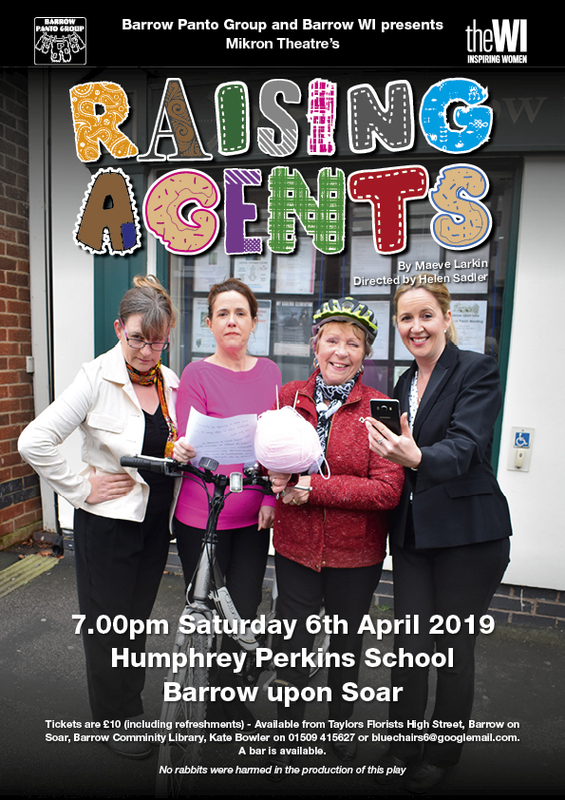 As part of Barrow WI's 70th Birthday Celebrations this year, the WI is is joining up with Barrow Panto Group to produce a hilarious play "Raising Agents". Helen Sadler will be producing the play which is written by Maeve Larkin. The performance is on Saturday April 6th in Humphrey Perkins Community Centre, Cotes Road, Barrow upon Soar LE12 8JU starting at 7.00pm. The play is set around the fictional WI of Bunnington. It deals with the group’s struggle to retain members in a swiftly modernising world and it highlights landmark events in the organisation. It's a play about the WI for WI members but it is very funny and it will definitely be enjoyed also by people who know nothing about the WI (Women's Institute) movement. Car parking is easy, there is good disabled access and there will be a bar.